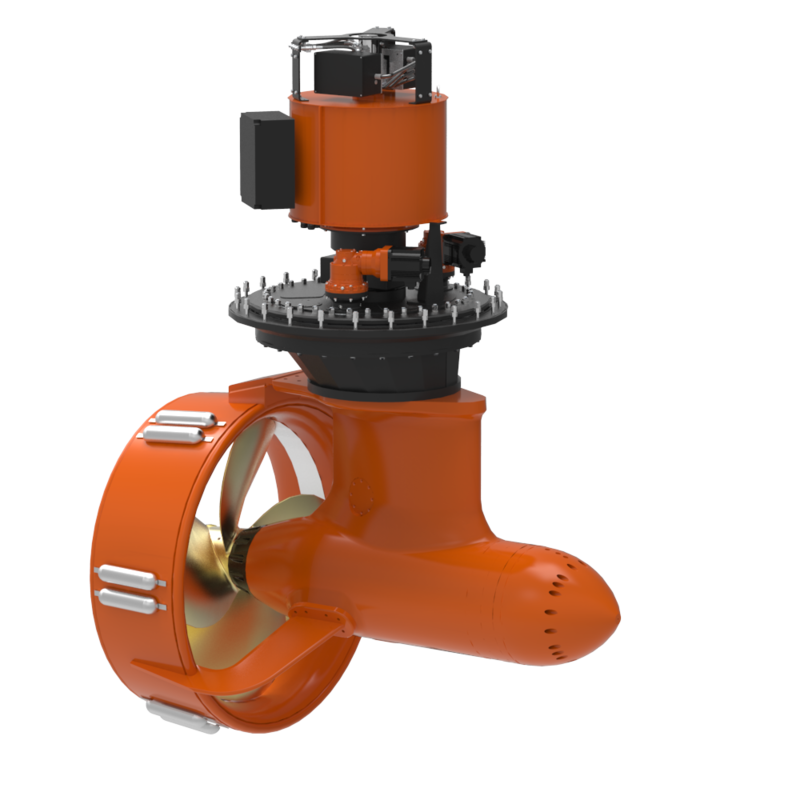 Hydraulic Retractable | Azimuth Thruster | Thrustmaster of Texas, Inc.
Thrustmaster’s hydraulic retractable thrusters are through-hull azimuth thrusters using Thrustmaster’s exclusive hydraulic podded propeller drives. 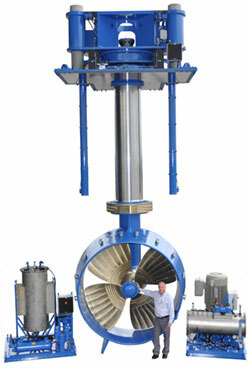 They are available in a range from 75hp (55kW) to 3,000hp (2250kW) with either open propeller or with nozzle. 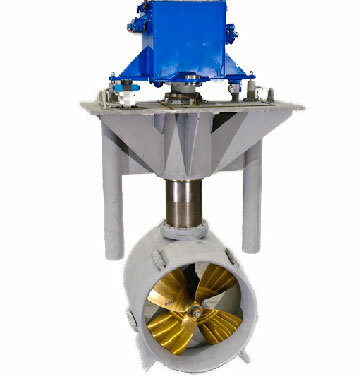 Thrusters can be supplied in aluminum or in steel construction to match vessel hull material. Low profile units are available for shallow hull depths. 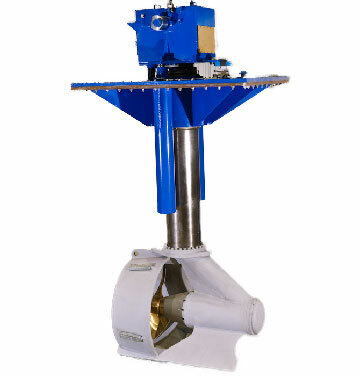 All units can be configured as combination thrusters, whereby the thruster performs as a tunnel thruster in the fully retracted mode, while freely azimuthing when lowered. A hull fairing plate is normally attached to the bottom of the thruster to reduce drag when the thruster is stowed. 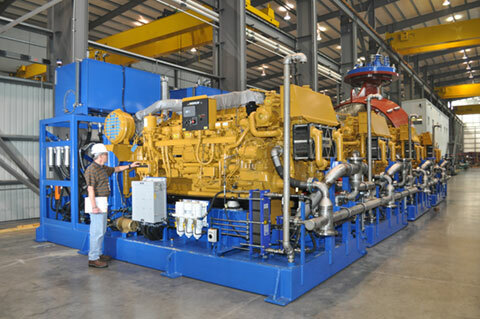 The hydraulic power system can be directly supplied by Thrustmaster and may be configured for our hydraulic pump driven by customer furnished diesel engine or other prime mover, which may be placed at any convenient location in the vessel. Hydraulic piping or hoses connect between the hydraulic pump and the thruster. The hydraulic drive provides fully proportional propeller speed control while the engine is running at constant speed.